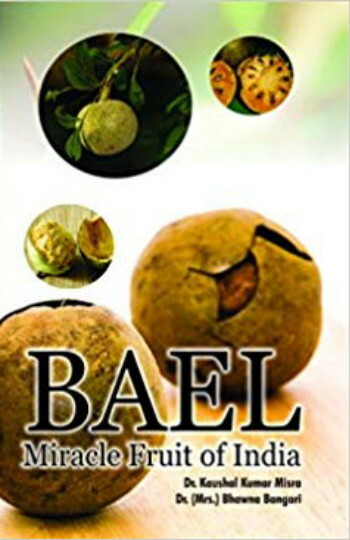 Bael: Miracle Fruit of India has 12 chapters. The first chapter, introduction includes the importance of Bael, genetic diversity, exploration and collection, diversity in genetic resources and growth habit. The second chapter includes botany and varieties include the botanical description, flowering behavior, morphology of floral organs, chemistry, varieties and genetic variability in genotypes. The third chapter includes the climate and soil management. The fourth chapter includes nursery management and plant propagation. The fifth chapter includes orchard establishment. The rest of the chapters cultural operation, manures, and fertilizers, irrigation, mulching, integrated nutrient management, training, pruning, weed management, intercropping and canopy management, fruiting, physic-chemical characters of fruits, fruit growth, plant protection, insect-pests, diseases and fruit drop, medicnal and other properties of bael. The efforts have been made to describe various chapters of bael management in a systematic and comprehensive manner. The book has been written keeping in view the requirements of the U.G, P.G, scientists, teachers and orchardist in the field of Bael management.